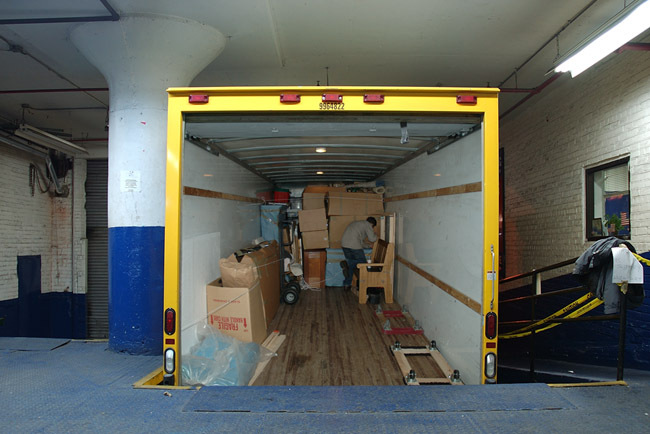 In 2004, I launched GO WEST!, a coast-to-coast moving company servicing jobs from NYC to San Francisco. 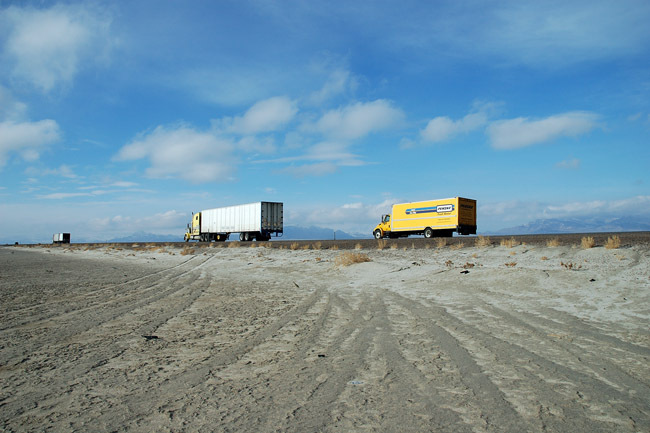 The company was a one-time service precipitated by an invitation to exhibit at the non-profit space, Southern Exposure. 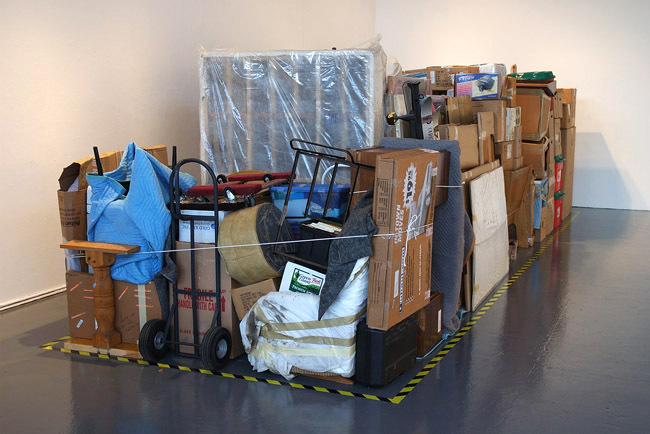 Tthe company advertised 1-month of Free Storage at the gallery as an incentive to our westbound custmers. The storage was be monitored by the gallery’s staff during the day and secured with a newly installed Bay® Alarm System during the night. 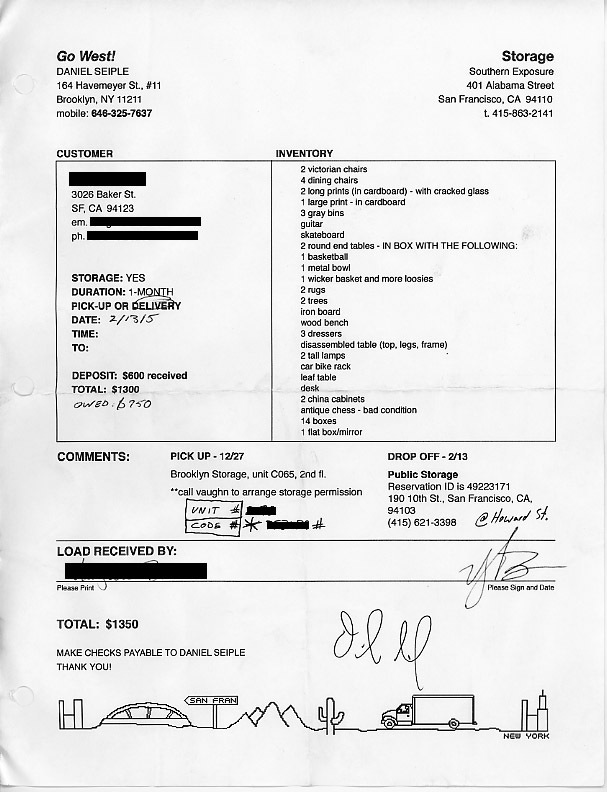 Items in storage would receive the same care as art. The company launched its website in October 2004. 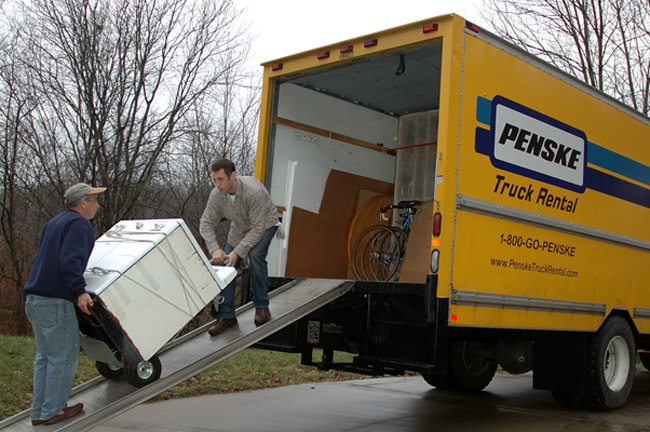 By December, we had 8 paying customers with enough belongings to fill an 8-meter truck. 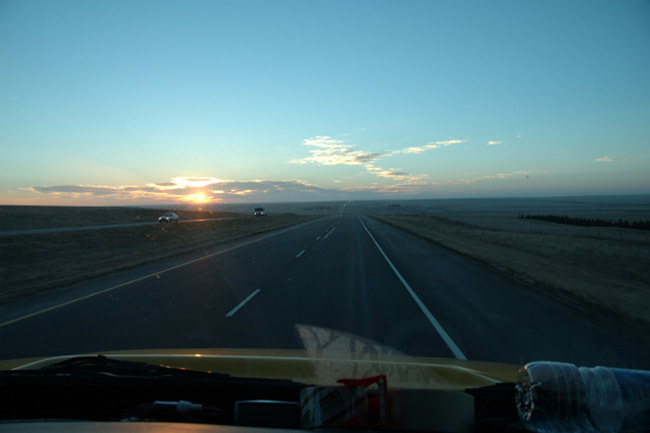 Nine days across plains and over mountains, through sleet and snow, GO WEST! arrived in San Francisco. 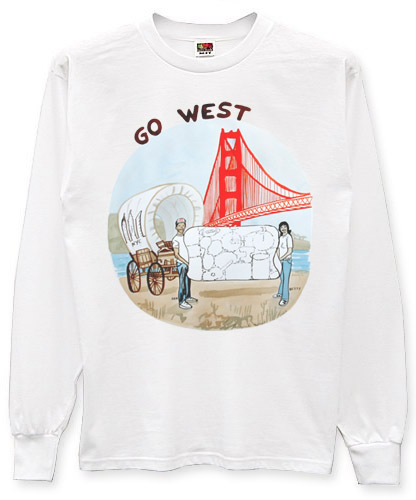 GO WEST! 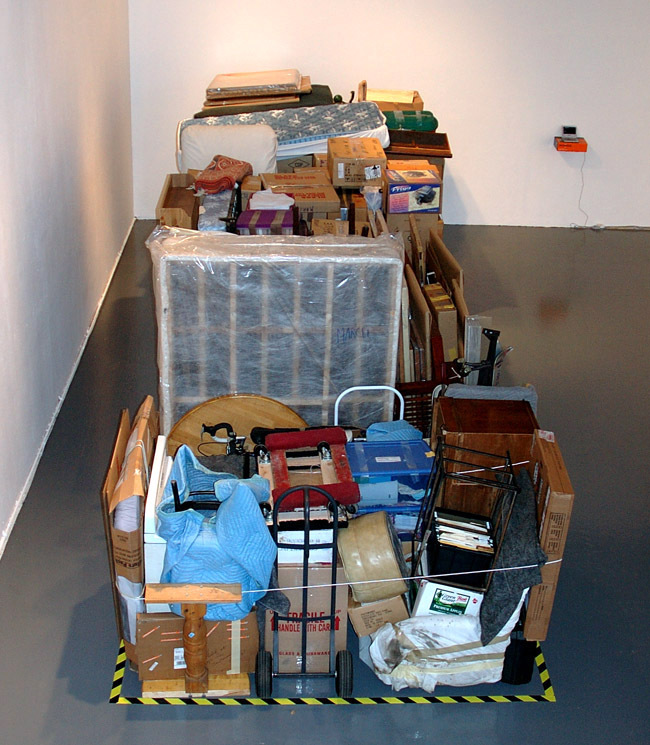 employees unloaded the truck and restacked the load in the gallery exactly as it had been carried.